Including stunning fabrics for Roller blinds, Roman blinds and curtains, as well as painted shutters. 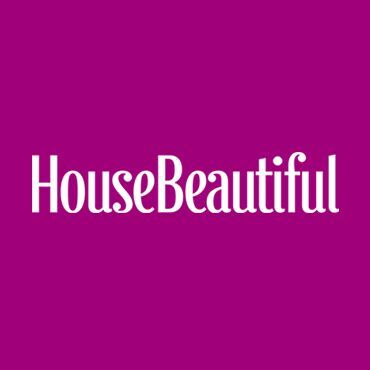 Browse our House Beautiful collections and be inspired by an exciting range of contemporary designs, created in collaboration with interiors experts at House Beautiful magazine. Our latest design collaboration with House Beautiful is our most elegant yet. Sumptuously tactile fabrics combine with a pure palette and subtle prints for an understated, calming look. Choose from 21 contemporary designs in dusky pastel shades, along with pops of cool blue and sultry orange. This collection takes its inspiration from the shifting skyscape, with ten exclusive colours in soft pastel shades. 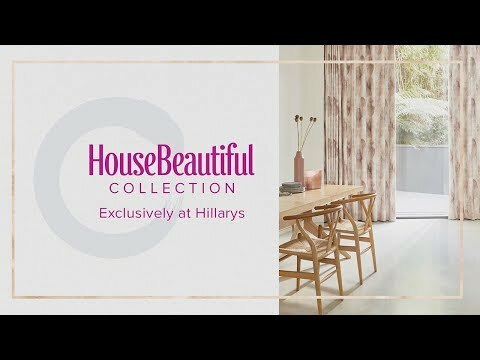 The design partnership with Hillarys is based on a shared understanding of what our customers and readers want – inspirational, on-trend designs that are made with real homes in mind. Get a House Beautiful look you'll love in your home this spring with our three step guide. Two exclusive Roller blind collections featuring 21 distinctive designs. Painted shutters in soft pastel shades that mirror the dreamy hues of the morning sky. Browse our gorgeous collections, designed in collaboration with interiors experts at House Beautiful magazine. Combining interiors expertise with contemporary styling, we’ve created distinctive looks to suit a wide variety of interior styles and tastes. From the rich and opulent designs in the Global Textures collection to the bright watercolour prints and fresh neutrals of the Origins range, every one of these Roman blind and curtains fabric has been carefully selected to create a harmonious scheme. And now you can also choose wooden shutters in ten exclusive House Beautiful colours. The new Atmosphere shutters collection takes its inspiration from the changing moods of the morning sky. Soft pastel shades of grey, blue and pink beautifully blend with any décor to create a dreamy finish to your interior scheme. Once you’ve browsed the collections online, request an in-home appointment for a time that suits you. Your local advisor is here to help you make your selections and measure your windows for a perfect fit. And our specialist advisors can give you expert help with measuring and fitting your stunning painted shutters.